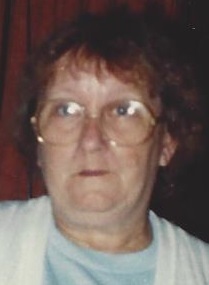 Carole Ann Willits of Keithsburg, Il passed away on Wednesday, May 23, 2018 at her home surrounded by family and friends. Memorial services are Tuesday, May 29th at 7:00 p.m., with a visitation prior to services from 5:00 – 7:00 p.m. at First Christian Church, Keithsburg, IL. Memorials may be made to the family. Dennison Funeral Home, Aledo is handling arrangements. She was the daughter of Carl and Dorothy Nylin Robbins born on April 26, 1939 in Aledo, IL. She married Randy Leroy Willits on February 28, 1980 in Monmouth, IL. She was very active with the Keithsburg Fire Department by putting on the Fish Fry Parade for several years. She made Keithsburg beautiful through her involvement with the Modern Woodman of America organization by planting trees, painting the equipment at the park, and the annual Halloween Parade/Weenie roast just to name a few. She loved spending time with her grandkids and great grandkids. She’s leaving behind her husband Randy Willits of Keithsburg, IL; 1 brother Oscar Robbins (Jackie) of Mayfield, Ky; 2 daughters Ivy Willits (Mick) of Keithsburg, IL, Tonya Widmer of Burlington, IA; 3 step children Tammy Smith of Burlington, IA, Sonya Brown (Terry) of Mt. Pleasant, IA, and Randy Willits (Alexis) of Des Moines, IA; Along with 6 grandkids, 10 step grandkids, 10 great grandkids, and 3 step great grandkids. She was preceded in death by her parents, 1 son Robert Carl Wheeler, 2 great grandkids, and 1 step granddaughter. We would like to give thanks to Genesis Hospice of Davenport for their help during our time of need. A very special thank you to Royal Willits II for his help (#1 pallbearer).